You Can't Have Just One Pig. Pigs are social animals and you really should never try to keep just one pig. But keep in mind that pigs do grow up and become hogs. And hogs do need room to grow and keep growing. Hog panels that are 16 foot in length are perfect for making your hog lot or hog pen out of. You can make one out of 4 sixteen foot panels set up in a square. There will need to be a house for the hogs in the pen and you can always use a extra large dog house for shelter for your hogs. They will be little pigs when you first put them in the pen but they will grow up quickly. If you do make a pigpen out of 4 panels you will need a extra large dog house for a shelter and you'll need a trough for feeding your pigs out of and a water bowl for them to drink out of. Large grown hogs will drink several gallons of water a day so keep this in mind. I keep a water hose handy so I can keep fresh clean water in the hog pen all the time. Your hog pen will need to drain well so your pigs are not standing in mud and water all the time. I keep straw in my pig pens all the time and I change it out about once a week or more often if it becomes real dirty. Where you place your hog pen or even if you can have one may depend on the area where you live. Before you build and set up a hog pen you need to check out and see if there are any restrictions on keeping and raising hogs in your neighborhood. Keep in mind that hog pens will breed huge fly populations if they are not kept super clean and there can be really bad smells from time to time. So be sure to keep all this in mind. Pigs love to eat and its really important that your pigs which will quickly grow up into hogs have fresh food at least twice a day. I feed mine early in the morning and late evening. 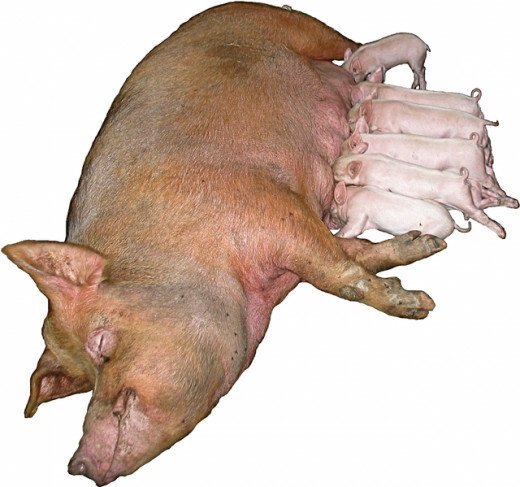 You will need to feed a commercial concentrated hog food to meet your pigs nutritional needs. A Protein Rich Diet And Plenty Of Fresh Water Is Really Important. For the best growth your pigs and later your hogs will need to be fed a protein rich diet. 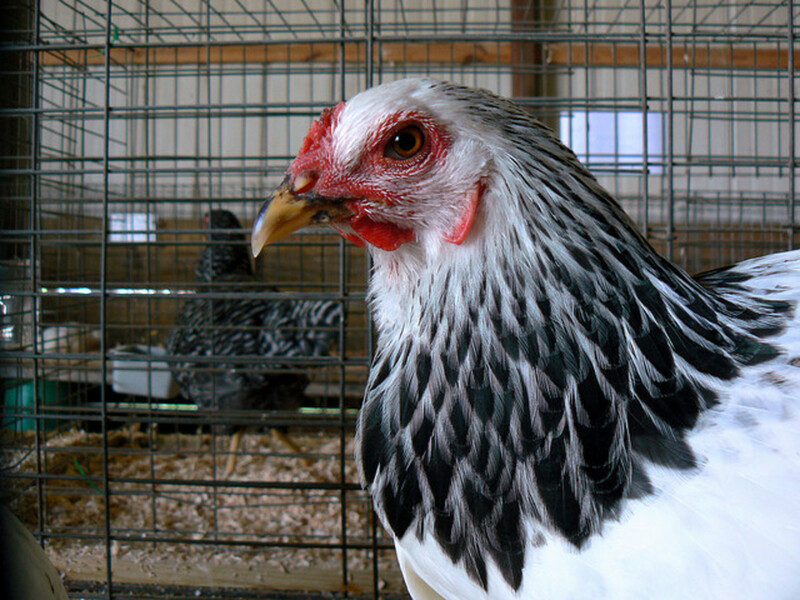 You can provide them with vegetables, fruits, bread and etc in addition to their high protein concentrated food. And don't forget that they will need to be provided with plenty of fresh water. If the water gets dirty it needs to be emptied and filled up with fresh water to keep your pigs healthy and happy. What Should You Not Feed Your Pigs? Really the only thing that should not be fed to your pigs is raw potatoes. Cooked potatoes though are fine. You will find with time though that they don't care for raw onions, asparagus, bell peppers, broccoli, citrus fruit and banana peels. You might as well throw those items in your compost bin. Click that link if you need to know how to build a compost bin. You really do need to feed your pigs at least twice a day. Once early in the day and then late in the day. If you try to give them one big feeding a day you'll discover they won't eat all their food and some of it will go to waste. I've also discovered that pigs fed twice a day and provided with lots of fresh clean water grow faster. 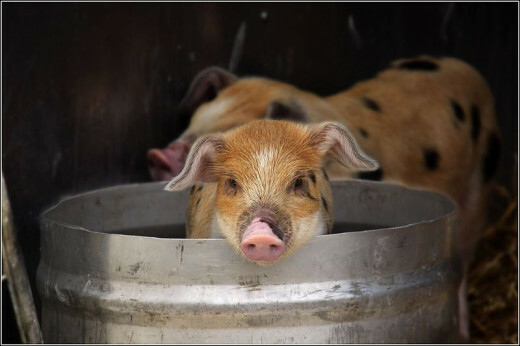 Are You keeping And Raising Pigs? Yes I have several that I am raising for the table. I am thinking of raising pigs soon. I wish I could keep and raise my own pigs. Maybe someday. I raise pigs every year and enjoy the meat they produce. You should know that your going to end up with about two pounds of manure from each pig in a days time. What I do is keep straw covering the floor of the pig pen and I clean it all out about every third day and put down new straw. I take the straw and manure I clean out and put it out over a field where I will plow it in and fertilize the soil there. This will work if your dealing with a few pigs or hogs. If you have a lot of pigs or hogs your going to end up with a lot of manure. And you will have to figure out what to do with it or you will end up with a horrible smell and a lot of flies. Hang Sacks Of Coal On Your Pig Pen. Save onion sacks and fill them up with coal. Hang these sacks up around the pig pen and the coal in the open onion sacks will absorb a lot of the odors from the pig pen. If your not real careful your going to have a rodent problem in time. All that extra food laying around is going to draw rodents and they will multiply. The best thing to do is keep rodent poison out in safe covered places to keep the rodent problem down and controlled from the start. 1. The big thing here is that you will need to find out if raising pigs is even allowed where you live. 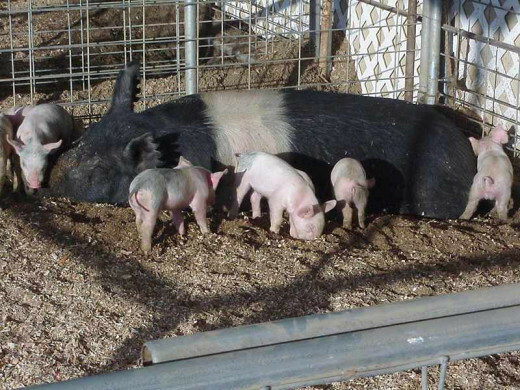 You need to check into and find out what kind of rules and regulations are required for raising pigs on your land. In some areas you may not be allowed to keep and raise pigs at all. 2. Your going to need a pig pen and shelter for your pigs. It will need to be a sturdy pen that your pigs can't get out of. Remember pigs like to dig so keep this in mind when your building your pig pen. 3. When you buy your piglets you want weaned pigs that are 6 - 8 weeks old and already eating. Don't buy your pigs to young or you may end up having to bottle feed them. 4. You can keep your pigs in a pasture that you have fenced with an electric fence. They will still need to have a place to go for shelter. And they will need a trough to eat out of and a big water bowl to drink out of. You can also hang tires up on ropes and give the pigs a big hard rubber ball to play with. I like to keep my pigs healthy and happy. I also suggest always keeping at least two pigs because pigs are social animals and they need a friend of their own kind to play with, socialize with and snuggle with. 5. 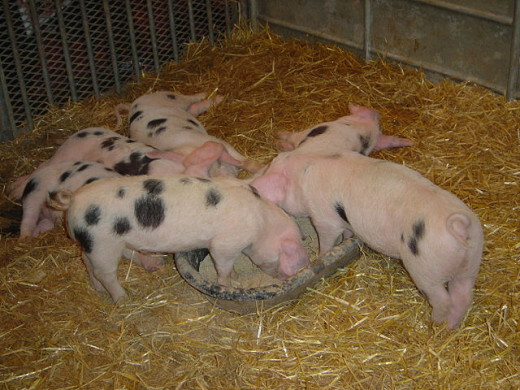 Keep in mind that young pigs need lots of protein to insure that they grow fast. Keep in mind they also need plenty of fresh clean water. 6. About every thirty days you'll need to deworm your pigs to insure that they stay worm free. 7. You can build a large compost bin near the pig pen and remove the manure from the pig pen every day. Your going to need a flat snow shovel and high rubber boots to keep yourself clean. Be sure to keep the compost bin dry to keep the smell down. 8. If your raising your pigs for the table the ideal weight is about 250 pounds. I suggest feeding your pigs a commercial high protein food along with scraps, veggies and etc. You want your pigs to grow and put on weight but you don't want to get them too fat. Lean pigs produce the best tasting meat. 9. We take our pigs to a local meat processor plant in the late fall. This way we don't have to do the butchering and we get our meat and sausage back already made and packaged. 10. I use my water hose a lot to keep my pig pen clean. I have a concrete floor in my pig pens and this makes clean up a lot easier. But be sure to check out local regulations about keeping and raising pigs before pouring a concrete floor. Here is the site of Healthy and Natural World. Homesteading site that will help you build self sufficiency, preparedness skills, survival knowledge and help you achieve your dream of being a homesteader. Check Out Home Tips World Here. Be sure to check out Before Its News. The World's Best Recipes Are Here. A pigs squeal can be as high as 115 decibels, which is 3 decibels higher than the sound of a big airliner. 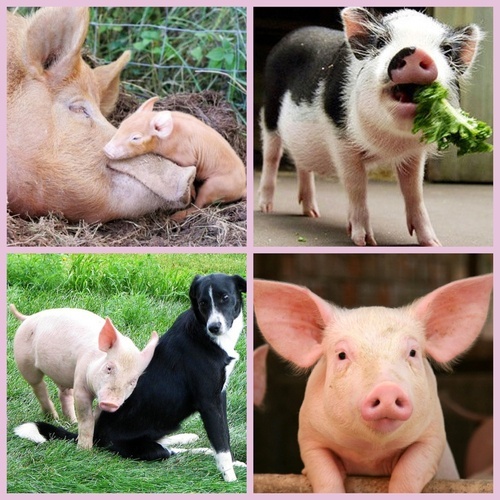 Pigs are much more trainable than a dog or cat. They are used to hunt for truffles and even drugs. A pigs nose is more sensitive to smells than most dogs. Pork is the most consumed meat in the world. 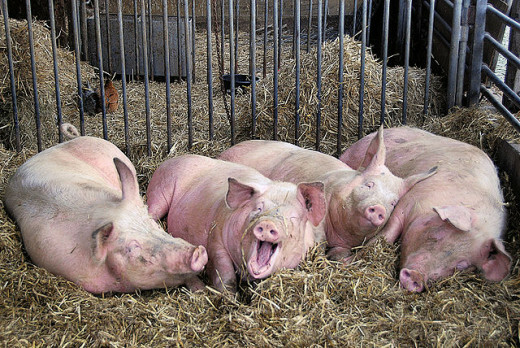 Did you know that in Denmark there are twice as many pigs as people. Pigs can swim and can even be taught to climb a ladder and jump off a high dive into a pool of water. Some pigs really do love to perform for their human owners. 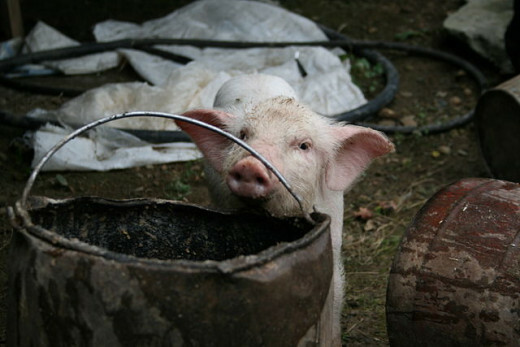 Pigs have even been taught to search for land mines and they are much better at it than dogs. Hide treats like apples or peeled bananas around your pig pen to keep the pigs entertained and happy. Eventually they will catch on to the fact that you are hiding treats in their pig pen and they will hunt for the treats any time you have been in their pen. Pigs are really fast. Over a short distance they can run a seven minute mile which is really fast. Your not going to outrun a pig. This is one reason to always watch yourself around a sow with little pigs. If you pick up a piglet and it squeals the sow is going to come running to see what the problem is. So always keep this in mind. Pigs can and will eat just about anything. If you don't want the pig to eat it then keep it out of their reach or they may try to make a meal out of it. Be sure to keep brooms, shovels and hoes out of reach of the pigs. Pigs are the fourth smartest animal there is. Only dolphins, chimpanzees, and elephants are smarter. Yes a pig is smarter than any cat or dog. Pigs are as smart or smarter than most chimps. Pigs have even been taught to use their snouts to operate computers. Now that's one smart pig. With in a few weeks of being born a pig will remember its name and will respond to you if you call its name. Not all veterinarians will see pigs or hogs. So you should find a vet for your pigs or hogs before you need one. Some though not all veterinarians will make house calls out to your farm to see your pigs. Some of them charge for a house call. If your pig or hog stops eating or lays down and won't get up then you need a veterinarian and sooner rather than later will be best. Thanks For Reading This Hub Page On Keeping And Raising Pigs. I Hope You Enjoyed It. Your Comments Are Welcome. Can I have one "pet" pig? Is a Julian a smaller pig that is good for a pet? Thanks Mary for your comment. Pigs are very smart. I have pot bellied pigs also and some of them are highly intelligent. I grew up with pigs, and I can agree with their intelligence! I had several pet pigs. If I could have a pot bellied pig right now, I would! Great Hub with good info about pigs. Thanks billybuc. 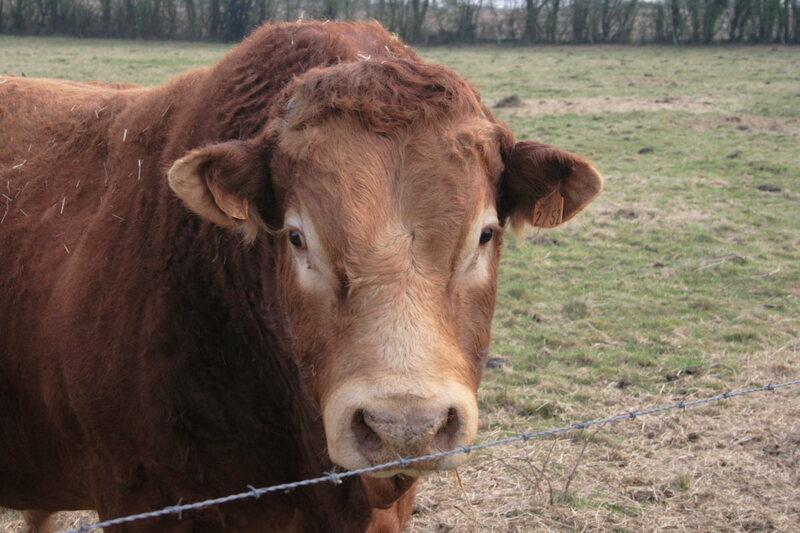 I have about 100 right now I think but many of them will soon be making their way to the slaughterhouse. We had frost this morning but I will wait about a month to six weeks to be sure it is cold enough to put the meat in the smokehouse. I do it the old fashioned way. As soon as we purchase our acreage we'll get some pigs. I've raised them before and really enjoyed them. Good information my friend. I have several right now. The one in the bucket now weighs over 400 pounds and his favorite food is bananas. Thanks for your comment Brie. This is so awesome, I hope to have some pigs someday. Lovely photos! They are so adorable and cuddly. I did have the idea of raising pigs but knew it would take a lot of my time not ready for that responsibility. Very helpful tips here. I like the way you presented this hub so I decided Vote up, useful and interesting. Thanks Shyron. I will add those options. Thanks for the ideals. Hello Tom, this is interesting and I voted that way. In you poll you did not have a place to put a No, also I wish there were a comment box under the polls to put the reason we for the answer we choose. 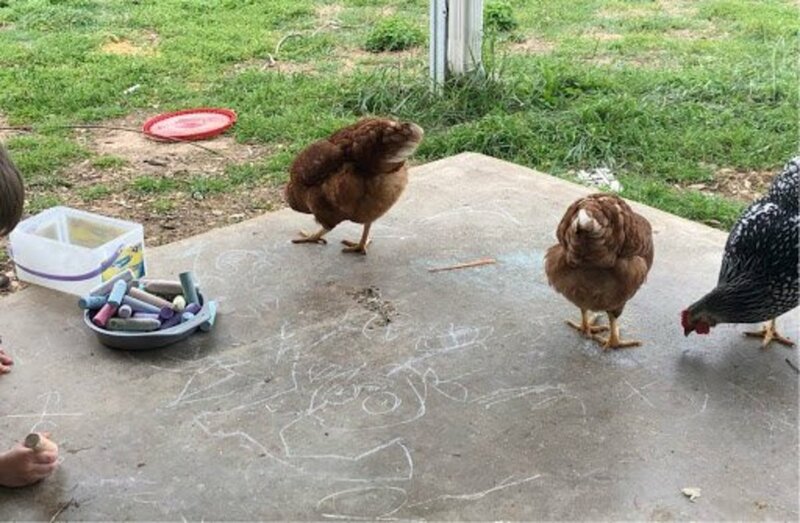 No, we do not raise farm animals. Our town has an ordenance against it. My grandparents and my mom raised pigs when I was little and I had a pet pig. Sows will eat the runts and my mom took it when the sow went after it and she gave it to me for a pet.